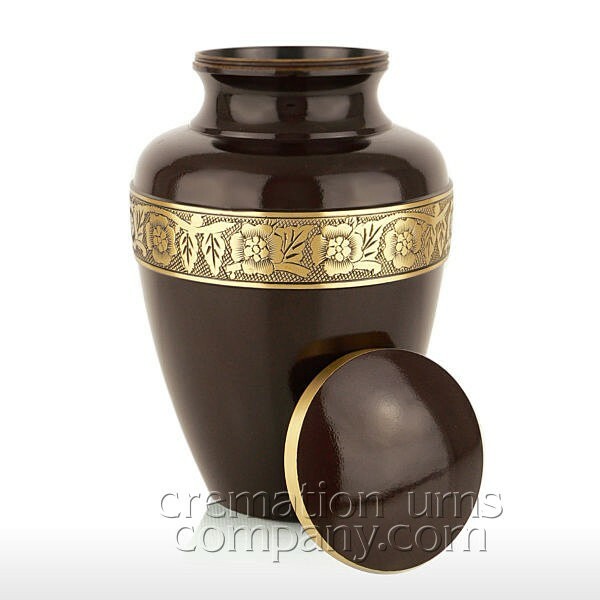 This is the Chocolate Brown cremation urn, it has a rich dark chocolate brown enamel finish with an engraved brass band around the middle. It is manufactured to the highest standard and is specifically designed to hold the full ashes of an adult. 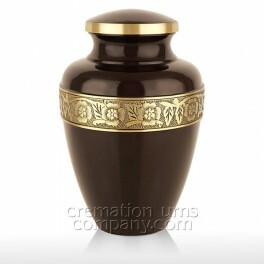 DESCRIPTION - Dark brown enamel finish with an engraved brass band around the middle. 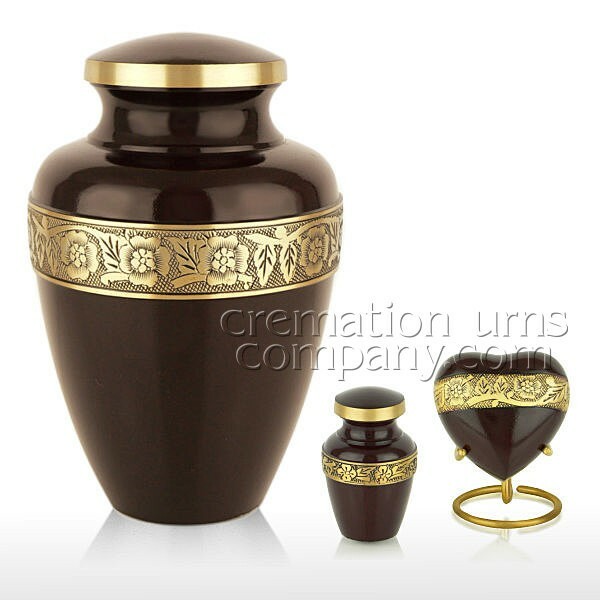 This urn is made of solid cast brass and is weighty and substantial when handled.